Good morning everyone. The rest of the week will be active in the weather department as rain, snow, and storms are all likely. Clouds will overspread the area today with highs reaching the lower 40s. For tonight, a rain/snow mix is expected with snow possible for northern and eastern parts of the state. 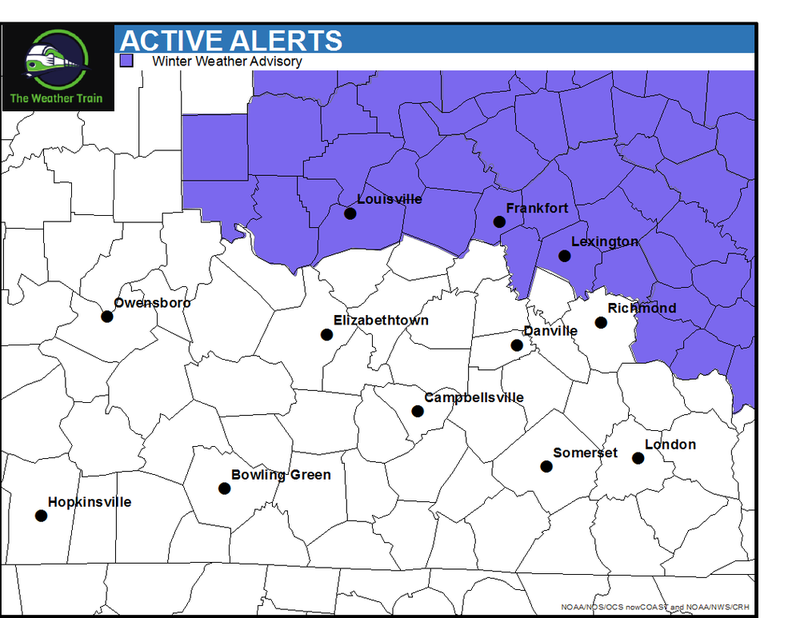 The National Weather Service has issued a Winter Weather Advisory for that area, as they will have the potential to pick up around an inch of snow by tomorrow morning. Rain chances will be anywhere between 80 to 100% during the day on Friday, Saturday and Saturday night. Rainfall amounts between 1-2 inches are likely during this time period, which could cause some isolated flooding issues. But overall, I’m not expecting a flood threat. The potential is also there for some severe weather on Saturday. The latest Storm Prediction Center outlook places Western Kentucky under a slight risk, with parts of Central Kentucky in a marginal risk. I’ll keep an eye on this, but as of right now I’m not expecting severe weather to be a big concern.